All Nippon Airways (ANA), Japan's largest and 5-star airline for six consecutive years, is opening up lounges in Osaka (Itami), Fukuoka and Okinawa (Naha) Airports that have been revamped by renowned designer Kengo Kuma. 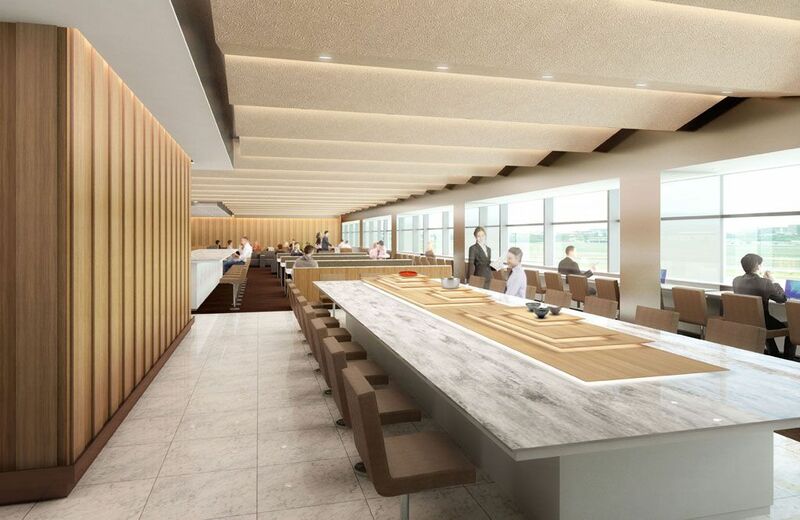 These ANA SUITE LOUNGES will be available for passenger use starting on February 1, 7 and 28 respectively, while ANA LOUNGES at the same airports will be available to travelers on February 1, 7 and in Autumn 2019. Each lounge has been designed to highlight the local characteristics of its region, incorporating the artwork and craftsmanship from local artisans. These works will be displayed in the center of the lounge, to help create an ambiance that highlights the specific cultural characteristics of each region. To celebrate the lounge openings, local delicacies will be available as part of a limited edition menu at each ANA SUITE LOUNGE. Each airport will also have its own set menu with distinctive regional snacks. At Osaka (Itami) Airport, the limited edition menu will feature ANA’s Original Akashiyaki, a dumpling from the city of Akashi and Chocolate Waffles made by Manneken. Fukuoka Airport will offer Chidoriya’s Amao Strawberry Chocolate Dorayaki, a bean-jam pancake that uses Amao strawberries from Fukuoka, and a local specialty called Kasanoya’s Umegae Mochi – a rice cake with azuki bean filling. Okinawa (Naha) Airport will give travelers a taste of Fukugiya’s celebrated Baumkuchen and Okinawa’s BLUE SEAL ice cream. ANA aims for the new lounges to further enhance the travel experience by increasing comfort and convenience for passengers. *Lounges are available even while under construction.